House rent allowance or HRA granted by an employer to his employee is tax exempted to the extent provided under section 10 (13A) of income tax act 1961. Employees in India, receive house rent allowance or HRA from their employer every month as a part of the terms and conditions of employment. Employer use to provide HRA benefit to employees to meet the cost of a rented house at employer’s work location. As per Income Tax Act provision, HRA is partly exempted if certain terms and conditions met by the employee. Today In this article, we will discuss how to get HRA exemption and how to calculate taxable HRA as per Income Tax Act, 1961. An employee can claim HRA exemption on his house rent allowance only if he stays in a rented accommodation during the financial year. If employee stays in his own home or in a house for which he does not pay any rent then HRA exemption under this section is not available i.e. the entire house rent allowance or HRA received from the employer will be taxable in the hand of employee. So to get entitled for the HRA exemption, employee needs to pay rent for the house. 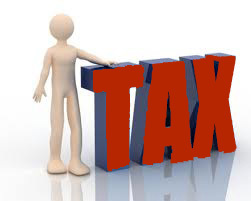 So the minimum of the above three will be deducted from your HRA you receive and the balance will be taxable. For both cases, Salary means basic salary plus dearness allowance if provided in terms of employment plus commission as a percentage of turnover. Salary for the calculation of house rent allowance or HRA exemption is taken on due basis. If you have received any advance salary then that amount will not be included in house rent allowance or HRA exemption calculation. As it’s very clear from the provision that house rent allowance is available only for relevant period, employee can claim HRA exemption only for the period for which he or she has occupied the rented house. If during the financial year he or she has not occupied a rented accommodation then they will not be eligible for house rent allowance or HRA exemption.